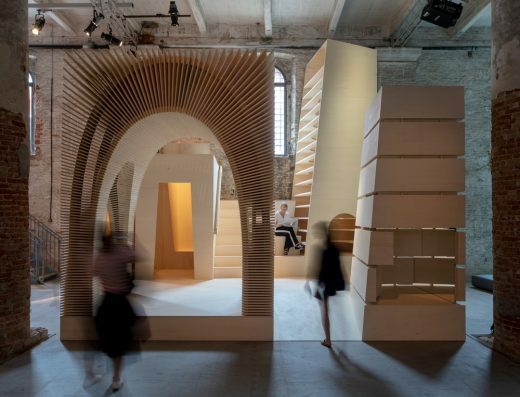 ABA unveils a major immersive installation ‘ReCasting’ at 16th International Architecture Exhibition – La Biennale di Venezia: a large-scale, site specific installation that simulates the critical freespaces of their work in housing as four inhabitable ‘totems’: Threshold, Inhabited Edge, Passage, and Roofspace. 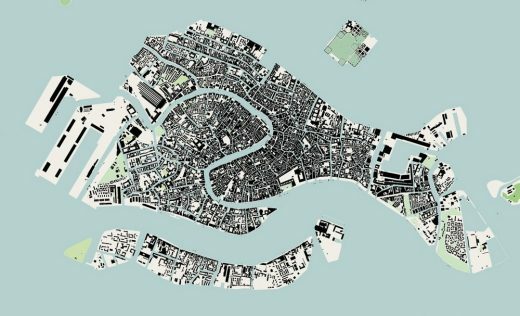 Alison Brooks Architects will be exhibiting at La Biennale di Venezia, International Architecture Exhibition, curated by Yvonne Farrell and Shelley McNamara, running from 26 May-25 November 2018. 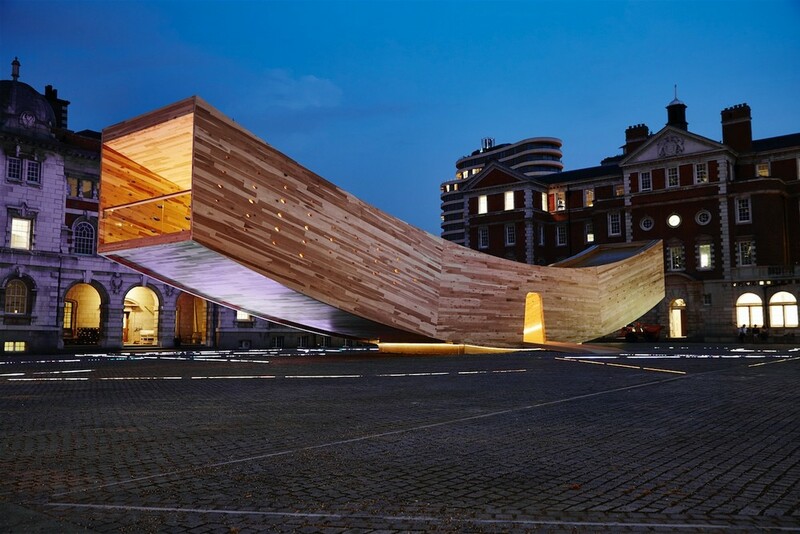 Chelsea College of Art Rootstein Hopkins Parade Ground from 17 September until 12 October. Alison Brooks Architects appointed to design Maggie’s Taunton. The new building will be located in the grounds of Musgrove Park Hospital. ABA will work with Johanna Gibbons of JLG Landscape Architecture and structural engineers Webb Yates. Maggie’s chief executive Laura Lee said the charity was “excited” by the architecture practice’s designs so far. ABA is the recipient of the Building Design 2012 Architect of the Year Award and the Schueco Gold Award. The Gold Award is presented annually to the architect practice that the Judges deem to have made the most significant contribution to British architecture of the past year. ABA was selected from the winners in all the Architect of the Year categories as “best of the best”. 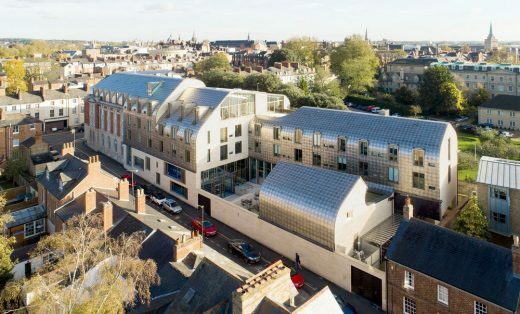 The architecture practice has already been widely recognised for the apartment buildings and villas that it contributed to the Accordia scheme in Cambridge which won the Stirling Prize. In a period when the delivery of new houses has reached its lowest level since the 1920s, the judges felt it was particularly important to recognise the work of an architect making an inspiring contribution to the sector. 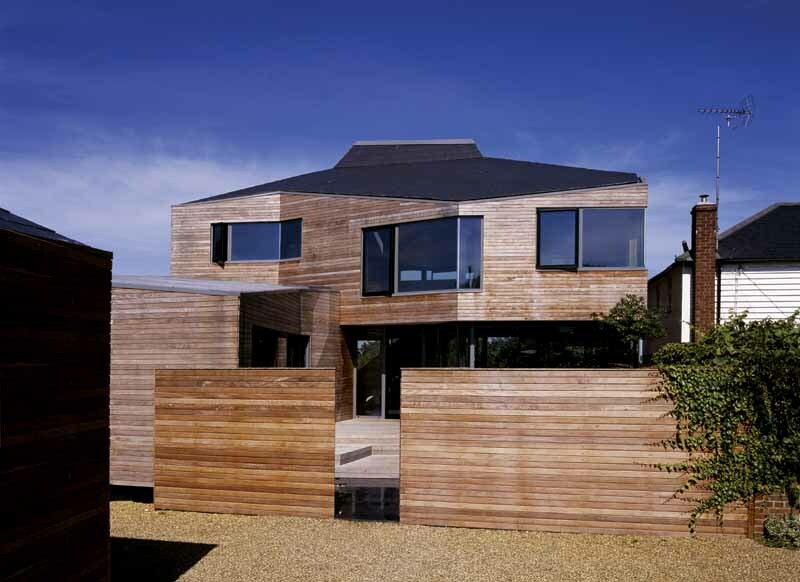 Alison Brooks Architects emerged as a clear winner, her contribution to the field of volume housing being deemed particularly worthy of celebration. Discreet from street level behind an 1860 North London house sits a spectacular new extension designed by Alison Brooks Architects. An angular projection of dynamic shapes and planes, the structure is distinguished not only by its creative vision, but also by the use of DuPont™ Corian® to form a striking rain screen façade. 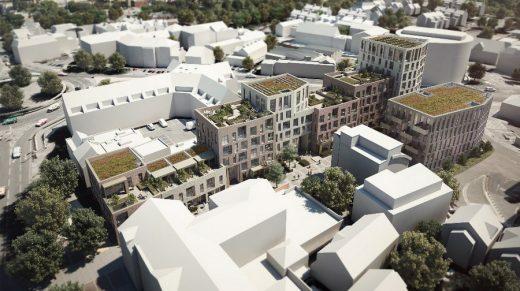 Alison Brooks Architects have won the architecture competition for Exeter College in Oxford. The contest was to design a `third quad´ for Exeter College at Oxford University, located outwith the historic city centre. The new building – plus two new courtyards – will provide housing for 100 students, a lecture hall, teaching rooms, social spaces and study facilities that will accomodate both undergraduate and graduate students. Alison Brooks Architect : London Architect Studio, established in 1996. January 20, 2019 in Architects.